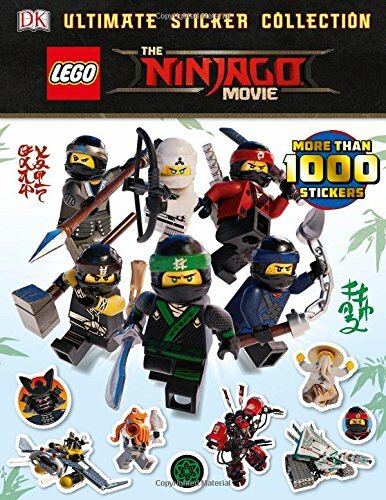 DK Books have released a series of brand new books to coincide with the theatrical release of the new LEGO NINJAGO MOVIE. Each book is very enjoyable to read and highlights a specific aspect of either the production or the characters involved. Want to know what I mean by this? Then please check out the following five books by DK. Age Range: From 6 To 12 years. What's it all about? If you haven't watched The LEGO NINJAGO MOVIE yet, then what the hell are you waiting for? Christmas? Get up off of your backside and watch it today. Then once you've done that, why not treat yourself to the following book which fills you in on all that behind the scenes stuff. It's a really nice looking book and its jam packed with stunning pictures detailing each stage of the movies development. 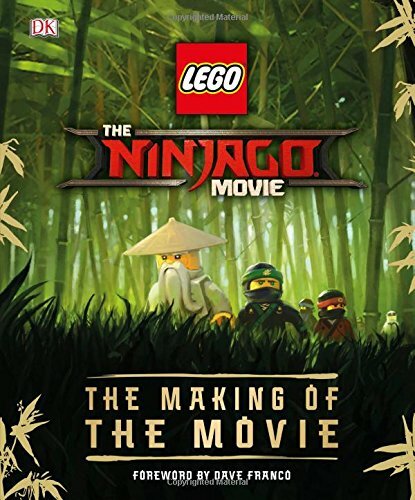 This range's from the concept art, the sketches, the artwork, and the inspirational Lego builds, all of which tell you the fascinating story of how The LEGO NINJAGO MOVIE was eventually made. With exclusive insights from those in the know, including the filmmakers and the animators, you can find out first hand how they designed your favorite heroes, villains, vehicles, and locations, doing so in such a way that it feel's like you were actually there when the storyboards were illustrated or when the dialogue was recorded. Age Range: 6 and over. What's it all about? Now if you haven't got the money to purchase the previous book (and shame on you if you don't), a nice compromise would be to buy this one instead. 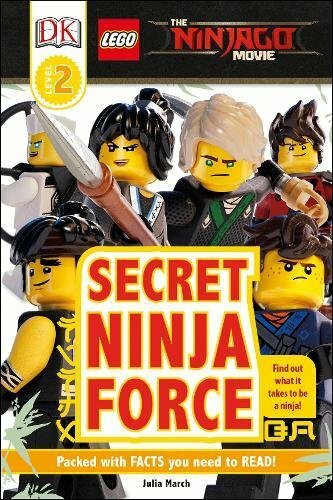 It basically covers similar ground and allows you to discover everything there is to know about The LEGO NINJAGO MOVIE. 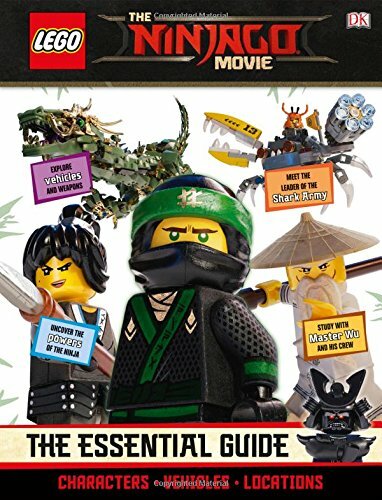 Essentially this 'Essential Guide' is the perfect companion piece for the big-screen debut of our adorable ninja heroes', as it explores the characters, vehicles, and locations in classic DK style, with each section complemented with lively and informative non-fiction captions and annotations. 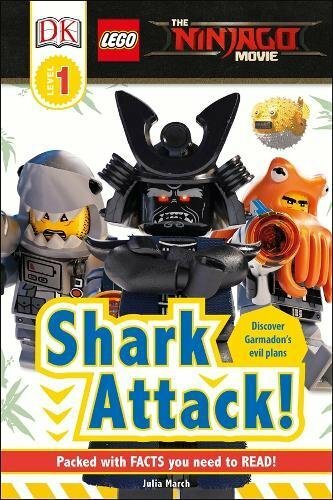 The book is also illustrated with the full range of exciting film sets, minifigures, and action-packed stills from the movie itself. What's it all about? Please don't pick up this book if you don't like stickers or having fun. Please, I beseech you, because if you do, you might accidentally get unstuck with the amount of stickers it has inside. Well, between you and me (and whoever else that might want to pick it up), all in all this pliable paperback comes with more than 1,000 full-color stickers and scenes depicting key events and characters featured in the movie. Yeah, straight up, as I'm not messing about. Inside you'd be able to find pages full of stickers and pages for you to stick on to, most of them specially made to highlight how much fun this film truly is. My personal favorite are those which showcase Master Wu. After all, he was voiced by Jackie Chan and I am a big fan of his. What's it all about? Once upon a time there was a boy named Lloyd, who inadvertently found out that he was made of Lego. Not that this was a bad thing, mind you, because as soon as this happened, afterwards he ended up starring in a big budget movie featuring other pieces of animated Lego. Eventually Lloyd realized that he would also have to pop up in children's books and teach them about, well, whatever he had to teach the little sods. Be it a morality tale about doing the right thing or respecting your elders, and if that didn't work... err... uhhhhh... hmmm... ho-hum... next!!! What's it all about? Did you read my explanation of the previous book? Yes? Yes you did? Good. Then try to remember it and use more advanced words when recounting it to others. That way you will elevate your understanding of English grammar and how it applies to a narrative context. Additionally you will also make yourself sound more erudite to whoever you might want to impress. I mean, it might happen. You might go into your local bank and ask for a loan by impressing the bank manager with your knowledge of all things Ninjago. Particularly if you're over six years old. Ha! Seriously though, this book was specially made for children aged six and over, while the previous one was made for those six to twelve. Either way, both book's are fully illustrated and tell a great tale of how Lloyd and the gang try to overcome any obstacles barring their path. For more information please feel free to visit dk.com via their website, facebook, or twitter pages. 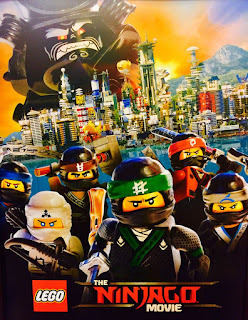 Better yet, pay Ninjago a visit too. I'm sure Lloyd won't mind.